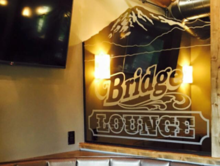 The Bridge Lounge opened on July 24, 2015 with but one goal in mind: to be the best little neighborhood bar in Soldotna. 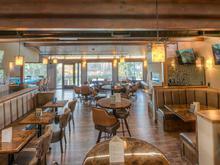 The lounge is a watering hole known for its laid-back atmosphere, superb cocktails, and outgoing staff. 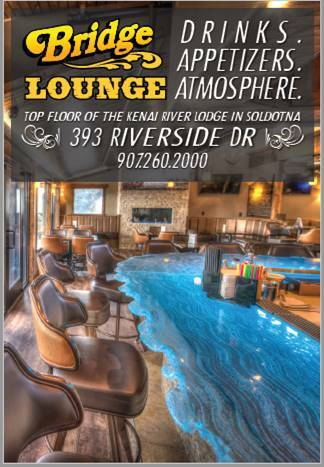 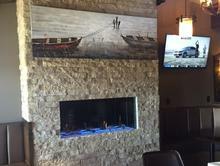 Whether you live within walking distance or are looking for an independent, locally-owned spot in which to relax, Bridge Lounge offers something for everyone - six taps featuring Alaska and domestic beers, big screen TV's, amazing deck with river view and fireplace tables. 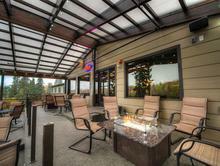 Stay nice and warm outside with our fire place tables. 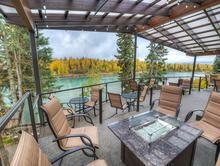 Amazing deck with views of the World Famous Kenai River! 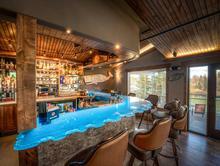 Cozy place to enjoy visiting with your friends.